Patchouli oil has a unique scent which is sweet and has a rich aroma. 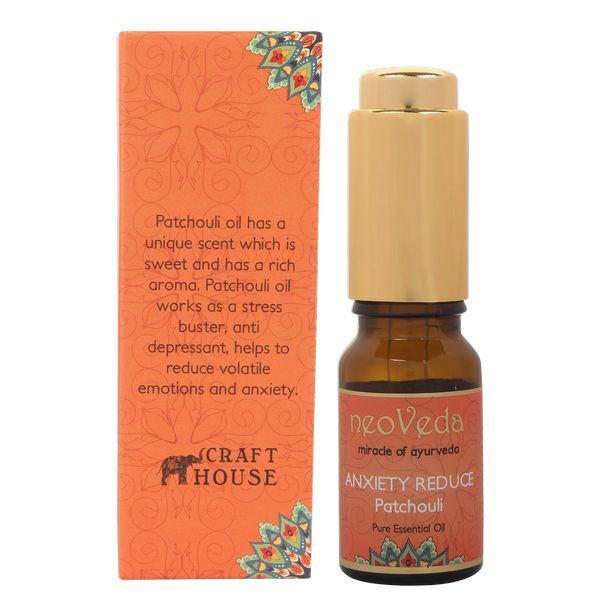 Patchouli oil works as a stress buster, anti depressant, helps to reduce volatile emotions and anxiety. 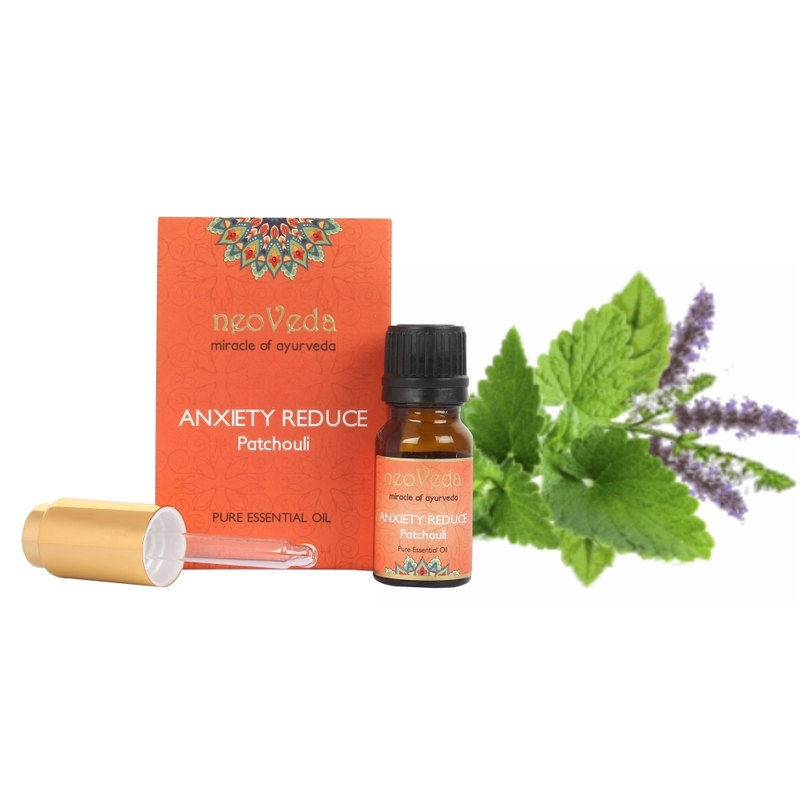 Helps in control on volatile emotions and anxiety. Keeps you calm and peaceful. 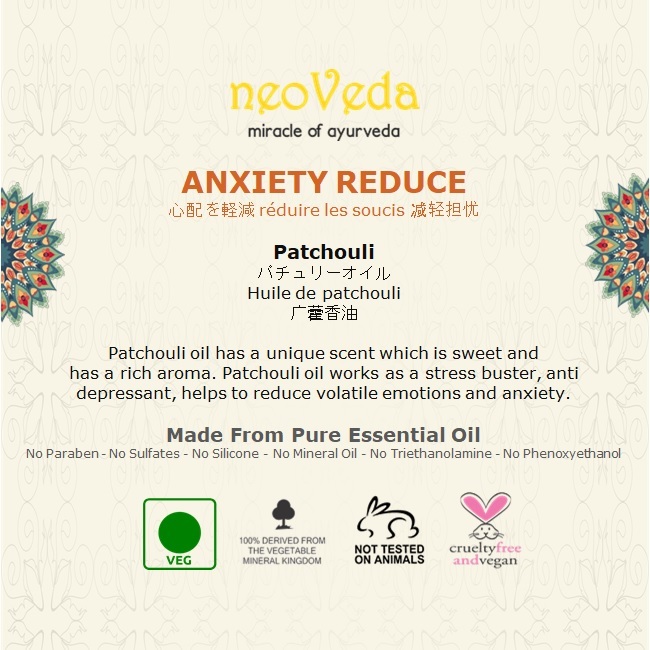 Anxiety reduce patchouli oil has a unique scent which is sweet and rich. Works as a stress buster and anti depressant. 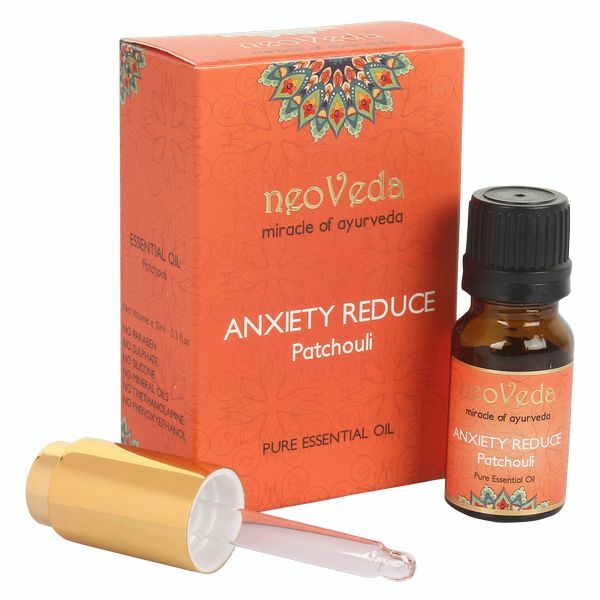 Helps in control on volatile emotions and anxiety. Keeps you calm and peaceful. It can help relieve skin and hair problems, such as dermatitis, eczema, acne, dry chapped skin, dandruff, and oily scalp. Also, popular as having aphrodisiac effects. Dilute upto 10 drops of essential oil with 30 ml of carrier oil for body massage. 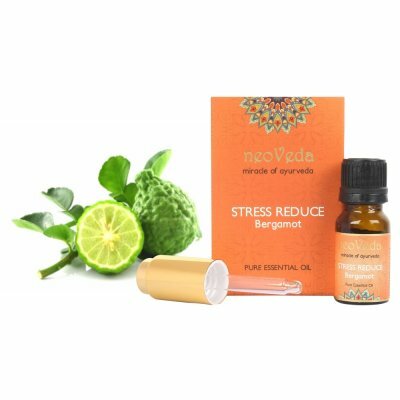 Diffuse 3-4 drops in a diffuser for aroma. Not for Medical Use. For External use only. Store tightly capped in original bottle in a cool and dark place. Exposure to sunlight and air will damage the oil. This product is not intended to diagnose, treat, cure or prevent any disease. Neoveda is the modern day adaptation of Ayurveda (Ancient knowledge of life and well being) and is a natural way to rejuvenate and relax both body and mind. 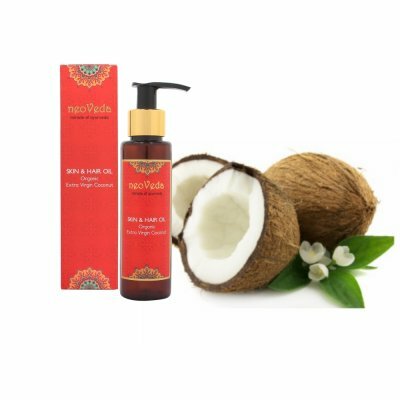 Neoveda products are designed to balance 3 Bio Energies known as Vata, Pitta & Kapha in Ayurveda.The unique combination of Essential Oils and Plants Extracts keep skin and hair beautifully healthy and keeps mind relaxed.